Woohoo…thank you Chelsea of Model Life Mag….. I was so happy when I was approached by Chelsea, Editor-in-Chief of Model Life Magazine. They were doing a May 2012 Wedding issue. She had contacted me about featuring my Etsy Shop…. www.etsy.com/shop/cestlea the digital magazine. She had also mentioned they were having a cover photo contest. Even though I didn’t win the cover photo contest…they picked 40 photos to show in the mag. 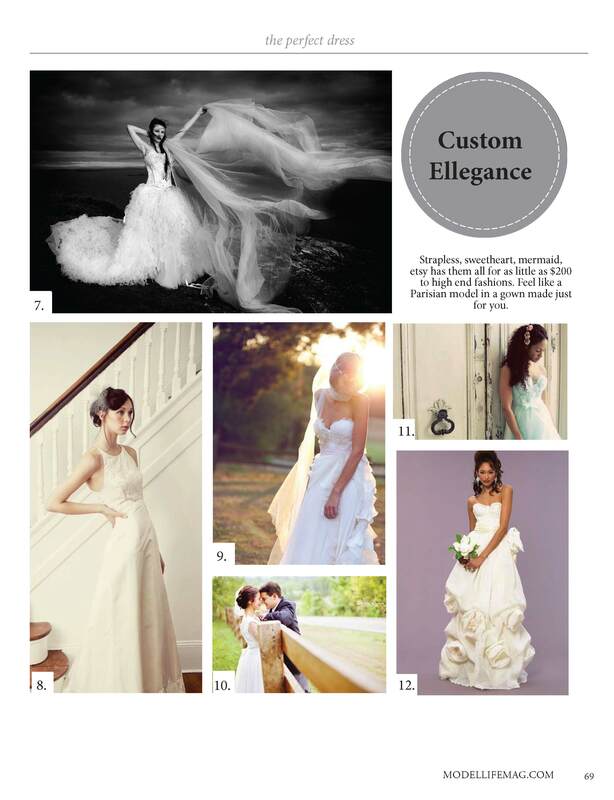 So on page 30 (photo Contest) and page 69…(cestlea) you will see these two photos of my gowns. 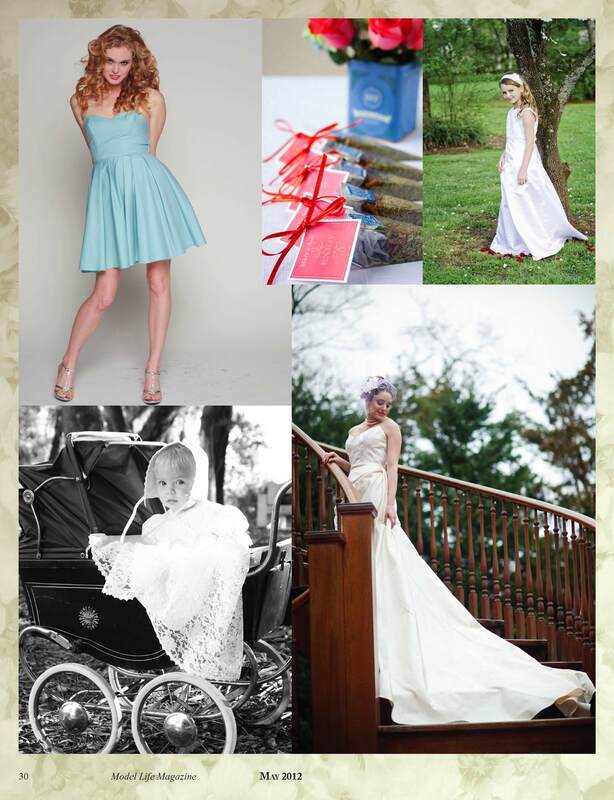 I create custom bridal gowns, headpieces and sashes for your special day. The magazine was really beautiful.